The Fender Custom Shop Tool Kit is an essential tool for anyone who wants to be able to set-up, adjust and tweak electric, acoustic or bass guitars. It's a useful collection of the most commonly used tools so you're always prepared. 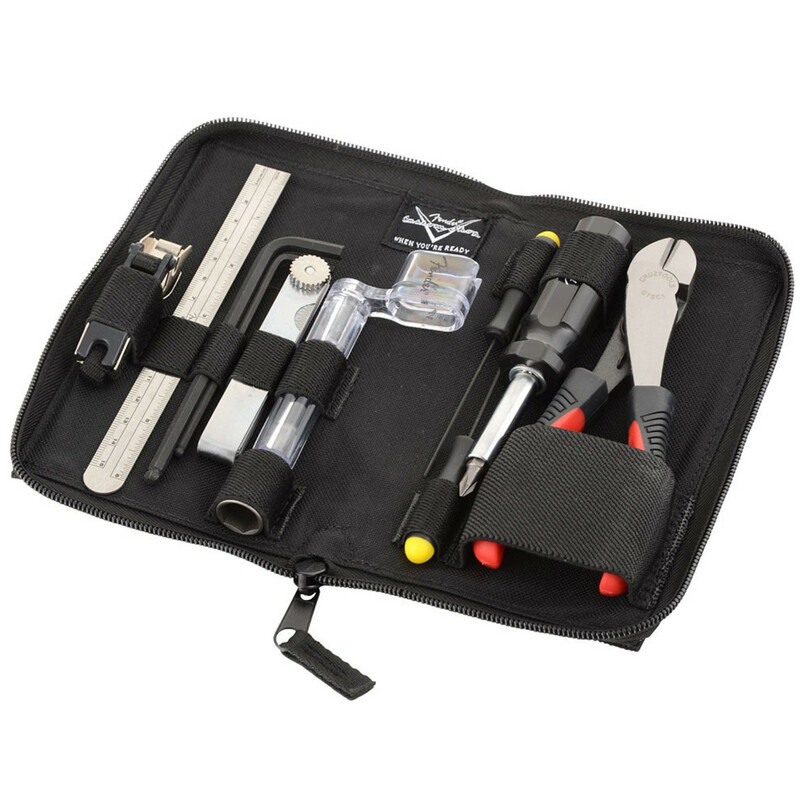 This maintenance kit is ideal for all minor adjustments. It contains the same setup tools used by the Fender professionals in a convenient pouch that should easily fit into any case or gigbag.